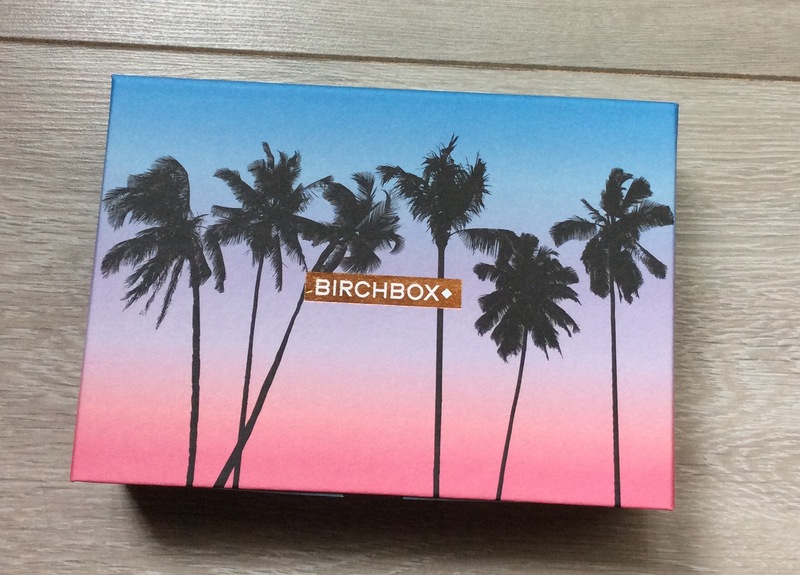 I received my July Birchbox last Thursday and although have not got a chance yet to try products properly have tried them all at least once so wanted to give you my first impressions on each product and my thoughts on this month’s box. 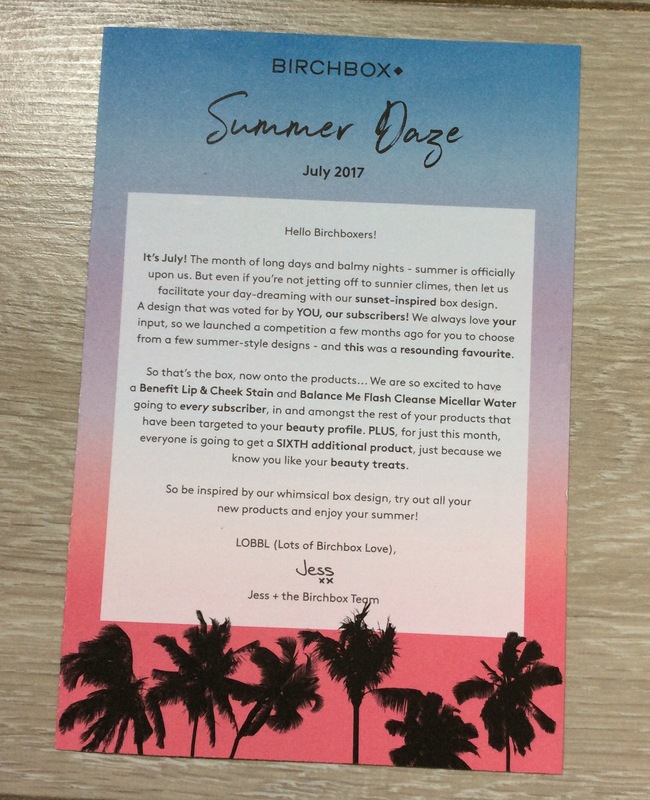 This month’s theme is ‘Summer Daze’ – Love the design of the drawer style box, which also fits perfectly with this month’s theme, a few months ago subscribers were asked to choose from a number of designs and this design was chosen as the favourite. Birchbox is a monthly subscription box which costs £12.95 (inclusive of p&p) per month and 3, 6 & 12 monthly subscriptions are also available. Usually five personalised beauty treats are included each month, although this month we got six items. Nanette Lepore Fragrance Small Sample Vial 2ml – Full Size £55 for 50 ml – as this is a sixth item, like a bonus item, not as disappointed but I do not normally like beauty boxes including small fragrance samples as one of their ‘main’ items unless a good size / deluxe sample, particularly as fragrance is so personal. This particular fragrance has a v strong overpowering scent so unfortunately just not for me but will pass to a friend to see if they like it any better. Overall though this months box is still good enough value and love the design of the box, a bit disappointed as personally will not be using two of the items. However as I always say this is what beauty boxes are all about and if you love all the items that is an added bonus. 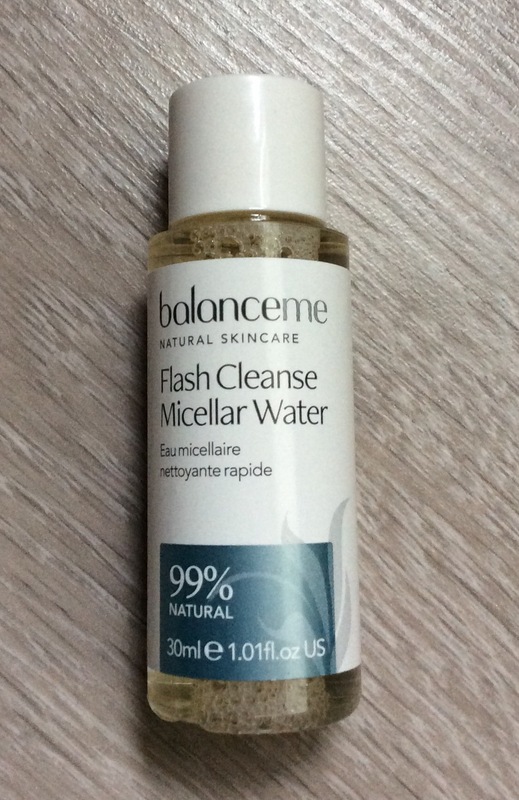 Although I have so many subscriptions at the moment I will still keep subscribed to Birchbox as it was one of my first subscriptions and although recently there have been more sample sizes included within their boxes still good value for money and also love the sneak peek of one of next months products (see photo below). 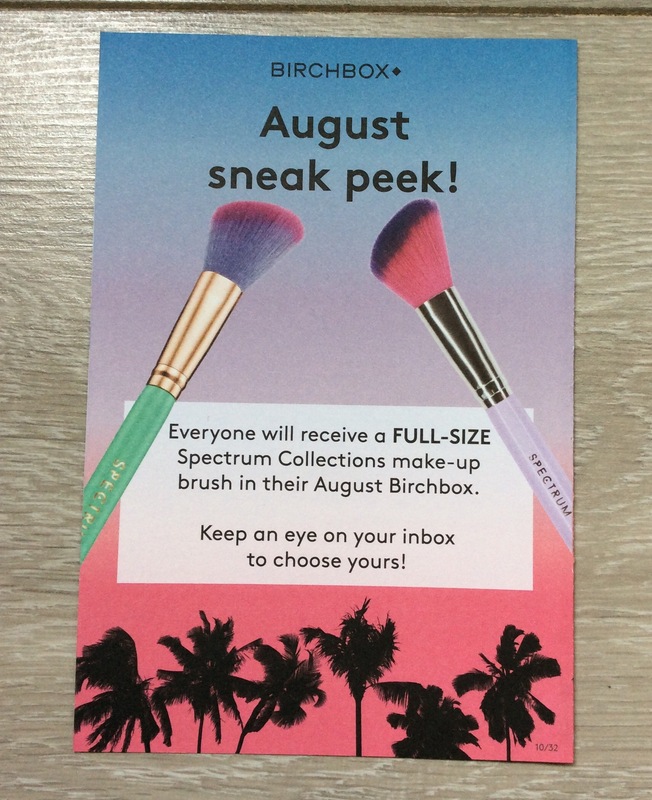 *SPOILER* – August Sneak Peek – states that everyone will receive a ‘Full Size Spectrum Collections Make-Up Brush’ in their August Birchbox – need to keep an eye on our in-boxes (if subscribed) to choose which one. Spectrum brushes have been in a number of beauty boxes recently which I do not mind as the quality is so good – this is another reason which will keep me subscribed for the August box. If you are thinking of subscribing to Birchbox UK – you can get £5 off your first box -(box is normally £10 +£2.95 shipping – you will get for £5 +£2.95 shipping) by clicking link here and then copy and paste code at checkout to get your discount. You can also receive a FREE Benefit mascara trio (*photo below) when you join Birchbox today to get your July box, just add the code WINK at checkout to get free Trio. Look forward to any comments you may have – if you have received this month’s box would love to know what you thought. Thank you – enjoy the rest of the weekend and take care.